Jeffrey D. Keiner - Mediator based in Orlando, Florida. Please click your preferred available date to submit a request. Your Appointment Form will be sent to Jeffrey's assistant, Lisandra Acosta. Mr. Keiner is a shareholder of GrayRobinson. He is originally from St. Louis, and grew up in Indianapolis, Indiana. He earned his undergraduate degree from Miami University, Oxford, Ohio, in 1968. From 1968 to 1971, he served as a communications officer and officer of the deck qualified on U.S. Navy destroyer, USS Ault. 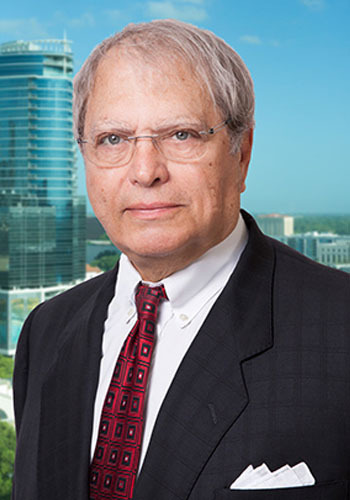 After leaving the Navy, he went to law school, obtaining his law degree from the University of Michigan in 1974, and began practicing law with Akerman, Senterfitt & Eidson in Orlando. Ten years later, he became a founding partner with Fisher, Rushmer, Werrenrath, Keiner, Wack & Dickson, P.A. In June of 1995, he joined GrayRobinson as head of the Firm's litigation department as a specialist in personal injury, products liability, complex commercial, construction, professional liability, environmental and intellectual property litigation, arbitration and mediation. Mr Keiner's mediation and arbitration rate is $450 per hour plus the usual and customary expenses. Cancellation fee is $450 for cancellations within 7 days of scheduled mediation or arbitration hearing.